After the war, Chee’s son Mak En carried on noodle-making in Hong Kong using his inherited skills. The family recipe again earned its reputation and attracted many leaders and trend-setters. Mak’s patrons include a long list of famous celebrities, socialites, food critics, and iconic figures in Hong Kong history, such as opera singer Sun Ma Sze Tsang, Asia’s gambling tycoon Yip Hon, song writer Uncle Jim, food critics Chua Lam and Suzie Wong. 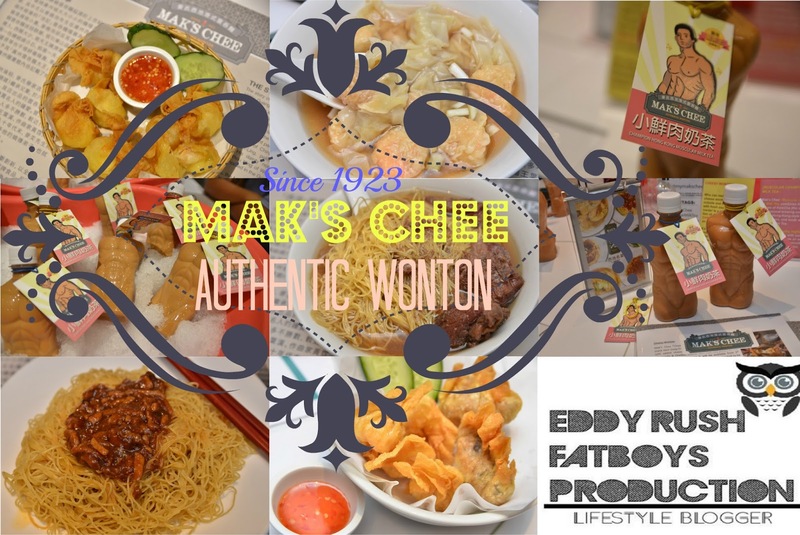 In late 1980s, Mak En officially passed on the family recipe and noodle-making skills to his eldest son-in- law Chef Johnny Yu, who became one of the Founders of Mak’sChee Authentic Wonton Malaysia today . For the New Year Suprise , Mak's Chee presenting to you the new "Muscular Champion Milk Tea" and Mak's Chee "Cheesy Wonton" . Muscular Champion Milk Tea - Mak's chee Muscular Champion Milk Tea combines the techniques of KamCha , The only international brewing competition on hong kong - style milk tea . Mak's chee brew top qua;ity highland Ceylon tea leaves with their special formula to create an aromatic , flavorful and smooth hong kong style milk tea . This limited edition Muscular figured bottle is only available from 4th Dec 2016 until 28th Feb 2017 . Cheesy Wonton - Deep fried cheese wonton , crisp on the outside and melting cheese with fresh Prawn inside . Is a perfect combination of Mozerella and Cheddar with every bites .